The go-to store for sensuous, elegant sarees. 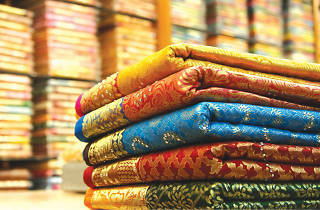 Ram Brothers on Main Street in Pettah needs no hype to appeal itself to fashion-conscious women who are discerning of the sarees they wear. Since its start more than 40 years ago in 1976, the establishment has won the hearts of sophisticated women who fully appreciate the colourful, sensuous elegance of the saree. Through habit and instinct, women think of Ram Brothers whenever an occasion beckons. Today Ram Brothers’ hand-picked collection of sarees is spread over three storeys where even the most indifferent dresser will be spoilt for choice. The store overflows with many dazzling colours and textures embroidered or worked with utmost finesse. The most exotic sarees here include Rajguru worked sarees, Satya Paul, Lehengas, Samudrika Pattu, Kanchipuram and Parampara Pattu. Bridal wear is the forte of the boutique. Here any type of bride can find the look to suit her or create an impression using any six yards of material as the basis: fairy, diva, princess, or something playful or even a totally unconventional trousseau to shock! There is also matching fabric to wrap the whole bridal entourage. Soon-to-be brides can now choose from a wide selection and even have beautiful custom-designed ensembles from catalogues. 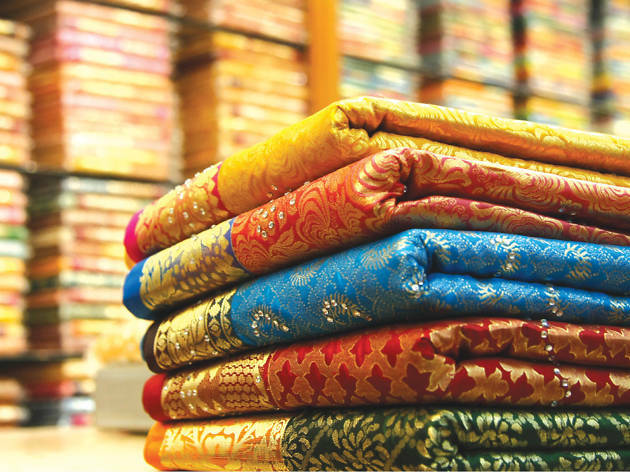 Though the staple is sarees, Ram Brothers is also a one-stop shop where you can find something for the whole family.